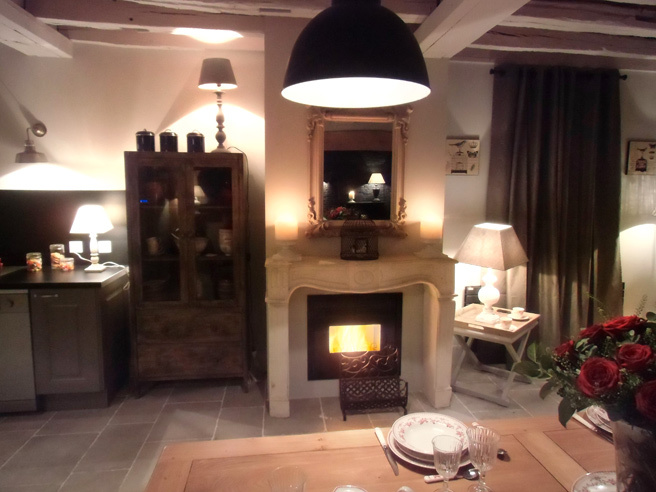 Once again, the team from the French version of Extreme Makeover – Home Edition (M6 D&Co in France) chose pellets as an eco-friendly and cost-effective alternative to replace or be combined with traditional methane heating. This time we're in Beaulieu-sur-Loire, a small village in the French countryside not far from Orléans. Aurélie and Nicolas live with their 5 children in a farmhouse of over 200 square metres, of which only 65 are suitable for residential use. M6D&Co's renovation project involved opening up the old barn by knocking down various original walls and creating wide skylights on the roof to fill the living area with light. 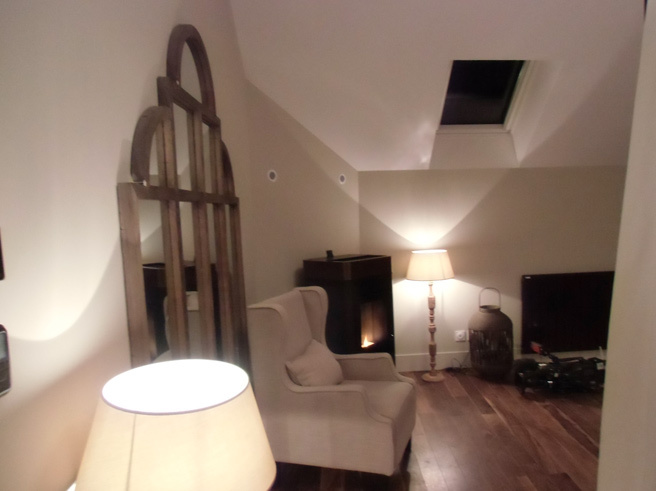 So the living area was turned into a huge space, dominated by the wide staircase and the walkway to access the bedrooms. A kitchen with a dining room, a more reserved area, was created next to the large living room, where the country-chic style was kept by using the beams on the ceiling and some original brick walls. 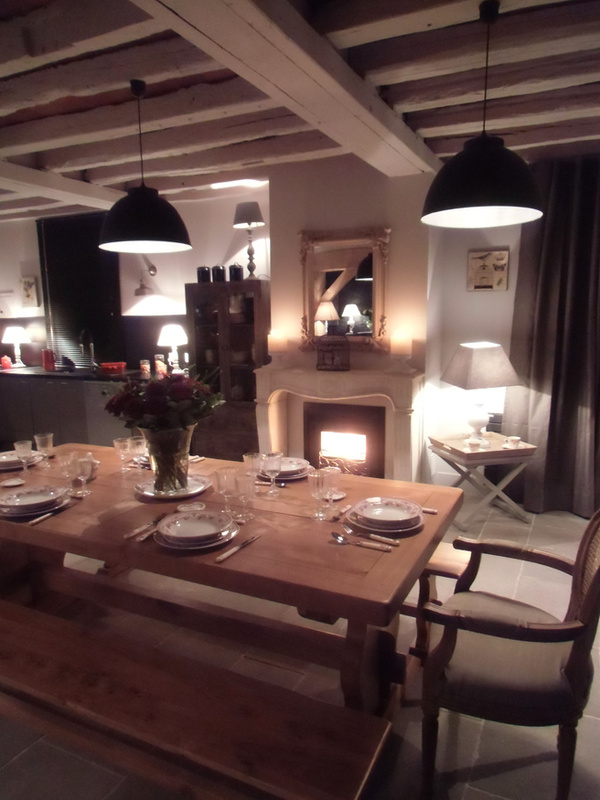 A fireplace with a classic look was recreated next to the dining table. The natural stone cladding (“Pierre de Charente”), created expressly by the same craftsman who did the flooring, serves as a frame for the Boxtherm pellet fireplace insert by MCZ. So here, classic style is combined with pellet technology. Indeed, the fireplace insert can be used to heat the big dining room more effectively compared to a traditional open fireplace, with all the practicality of a product that turns on and off by simply pressing a button. 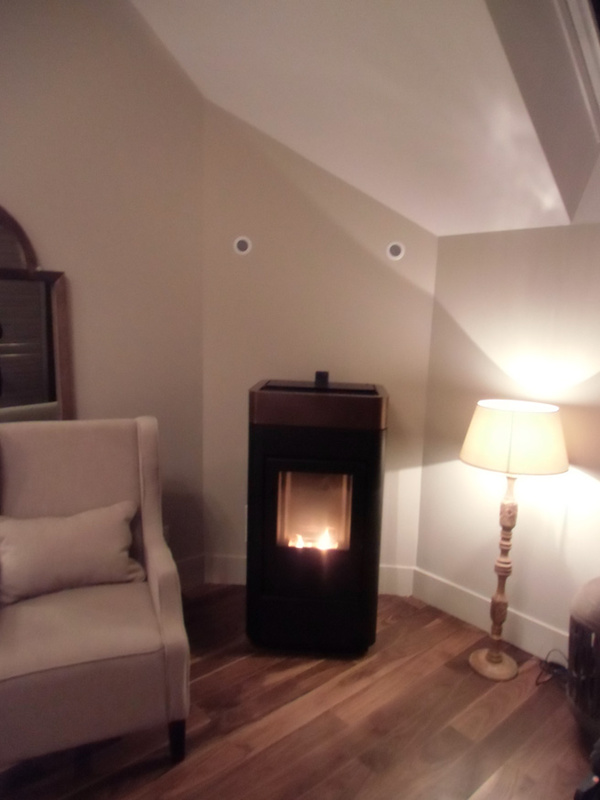 Boxtherm is ideal for new installations, as in this case, or to reuse existing fireboxes. It is very easy to install thanks to its compact size and also includes a front drawer to load the pellets. The master bedroom was created in the spacious attic, where the insulation was completely redone and the original wooden beams were reused. 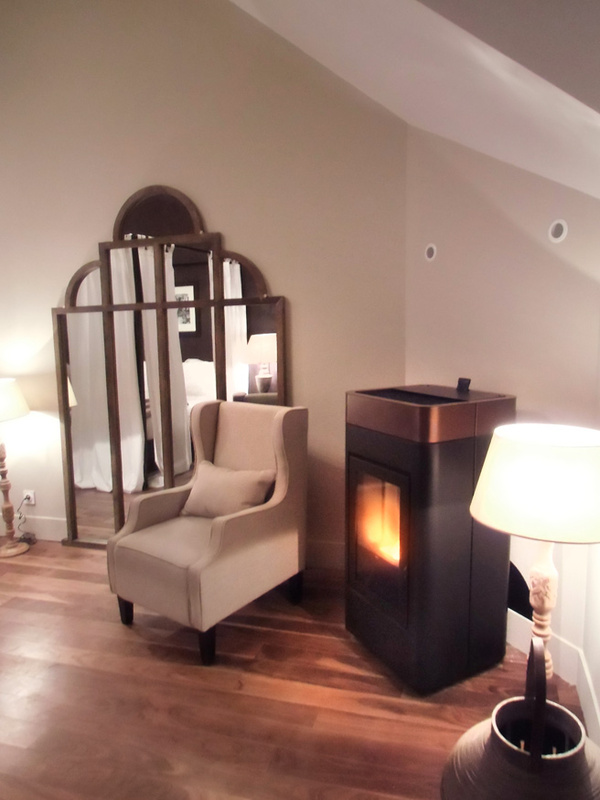 A Cap stove by MCZ heats the whole room. It's a distinctive model because it does not work with forced ventilation but still manages to heat a room with very high ceilings, like this one. It is particularly silent, perfect for when you are resting, as every detail inside it has been designed to reduce vibrations to a minimum. Once again, this is a pellet product. You can easily control it via a control panel located on the cover, with a remote control or with a smartphone or tablet (Active+ technology). Finally, an aesthetic detail that should not be neglected: CAP's flame, large and pleasant even though it comes from pellets, it is reminiscent of the flame of a real, wood-burning fireplace, which further highlights the “cosiness” of this room.